The logo, selected by the Defense Ministry's design bureau, has striking resemblance to the Mall of America sign. The newly unveiled emblem for the Russian Armed Forces has come under fire for its striking resemblance to a 3-cent stamp issued by the U.S. 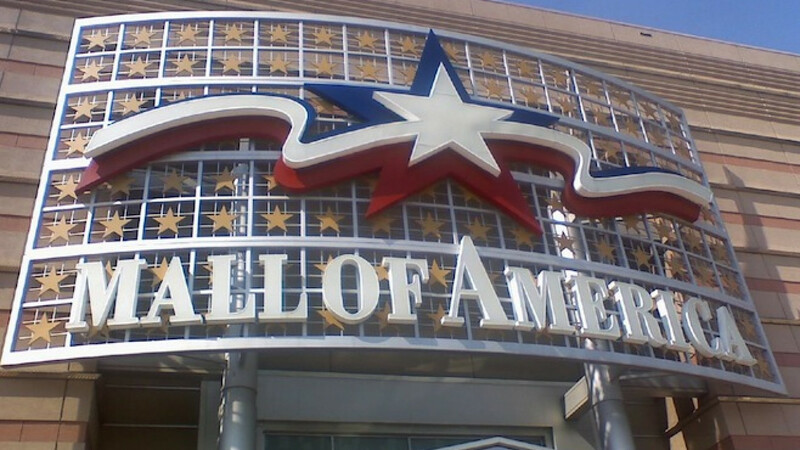 Postal Service and a Mall of America sign. The logo, selected by the Defense Ministry's design bureau and presented at a spectacular ceremony outside Moscow earlier this month, features a red, white and blue star whose design draws upon "the traditions and the uniform of the Russian army," the Defense Ministry said in a statement. But Russian radio station Ekho Moskvy slammed the symbol on Sunday for its resemblance to a Mall of America shopping center logo in the United States' Minnesota. Parallels have also been drawn to an old U.S. 3-cent "make-up rate" stamp, issued by the U.S. Postal Service in 2002. Ekho Moskvy radio host Matvei Ganapolsky called the apparent copy of a U.S. design for an emblem of the Russian army "incredible and inexplicable." "A huge country, which has finally risen from its knees in Crimea," he said on his Facebook page Sunday, in a satirical reference to a patriotic catchline that has gained strength following Moscow's annexation of the Black Sea peninsula. "Hundreds of designer talents, thousands of talented artists. But — no, it's better to steal. And from whom — from the despised Americans." This is not the first time Russian designers look abroad for inspiration. Last year, the ruling United Russia party presented patriotic billboards in honor of Defender of the Fatherland Day, only to be criticized for featuring Israeli soldiers in an Israeli-made Merkava III tank, The Times of Israel reported. Then again — they say imitation is the best form of flattery.